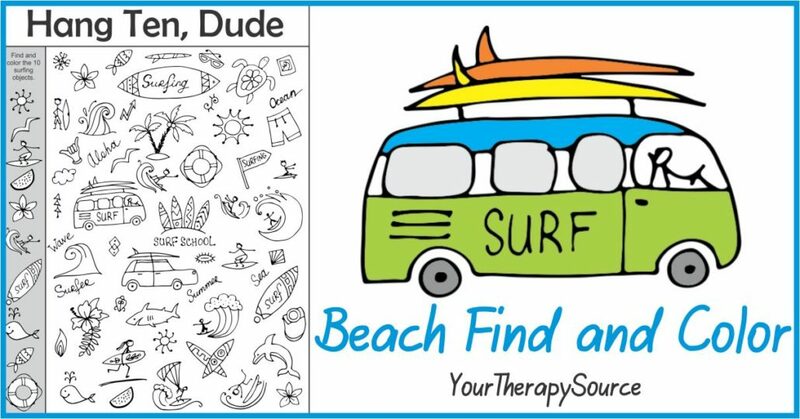 Beach Find and Color Hang Ten Dude is the latest freebie from a new Beach Sensory Motor Packet. Practice visual discrimination and visual motor skills searching for these fun, cute surfer pictures. 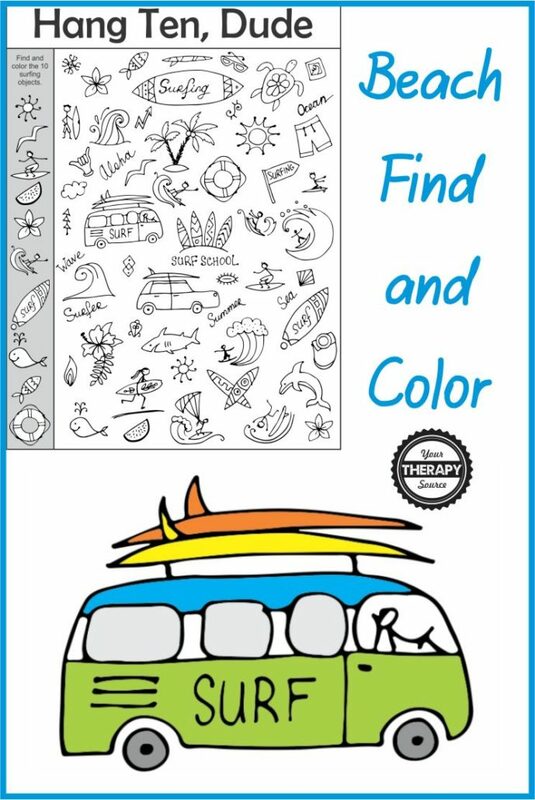 DOWNLOAD BEACH FIND AND COLOR. 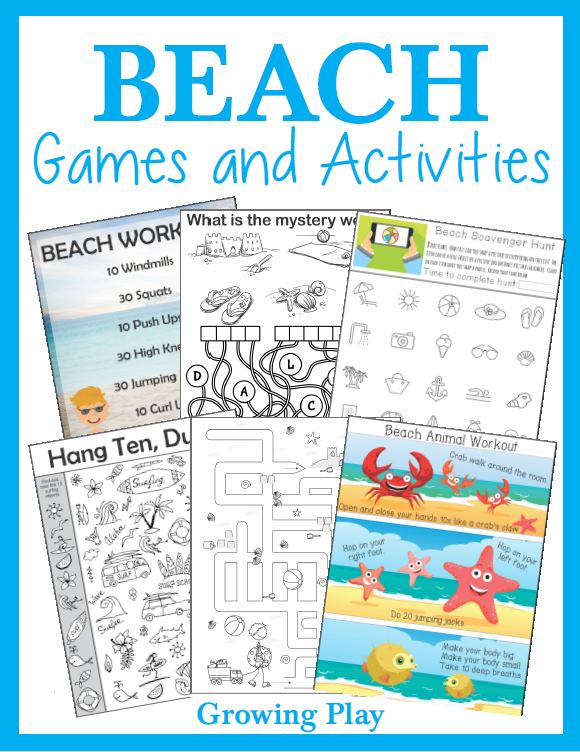 This freebie is from the Beach Sensory Motor Packet of 20+ games and activities to encourage fine motor, gross motor and visual perceptual skills. Find out more.